Ellery begins piano practice, and I arrive home about this time. We practice together for 45 minutes. This set block and 1/2 hour break before school starts has worked miracles. Ellery is far more productive with her time, knowing she will have to complete her practicing after school if necessary. Callista reads to Emmett or they just play. Brent takes the children to the park or they ride bikes outside. Mom showers and gets ready, then Brent leaves for work. 12:15 Lunch Recess Clean up, eat lunch, free time, Emmett goes down for nap. Read quietly using book boxes. Mom has free time :) Wednesday piano lessons and library. Larissa stays until 4:00 pm on Wednesday's for Mom to run errands. Independent quiet time in room with small toy on bed, or listening to stories or music on CD. Mom prepares dinner. Ellery and mom make bread on Mondays, Callista and mom make snacks on Tuesday. 7:00 In Bed Ellery reads aloud and mom reads aloud. Dad tells a story. Fridays we wake up at the same time and piano practice. In the mornings we pleasure read. 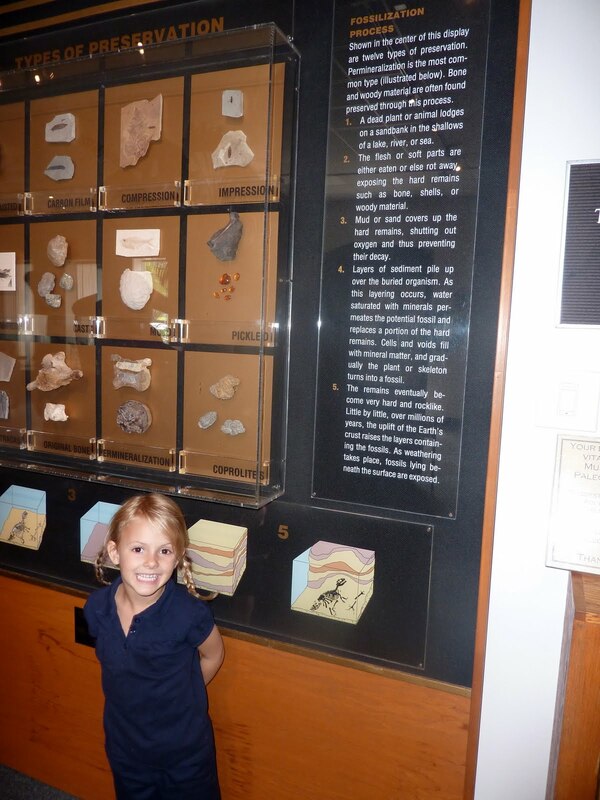 Then we have field trips for science, the arts, history, physical fitness or family fun. When we return home we do notebook pages and process our learning. If no field trip is planned we will have science lessons/experiments and projects. We then have quiet reading in the afternoons if time permits. Here are a few snapshots of our first field trip. We enjoyed reciting Roald Dahl's The Dentist and The Crocodile with our heads in this "massive jaw!" This week in History we learned about nomads. 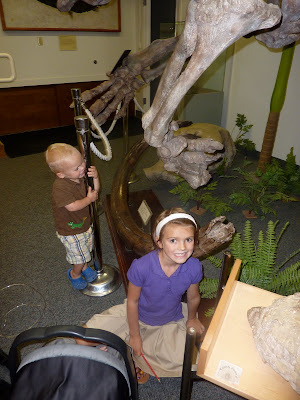 Ellery drew was fascinated by this mammoth tusk at the BYU museum of Ancient History. 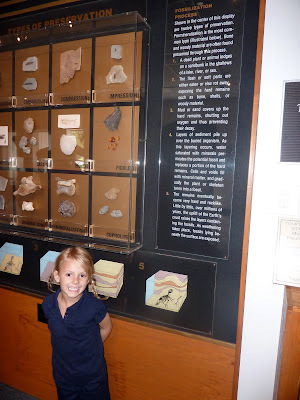 Ellery's notebook page about our visit to the museum. Callista liked the "red diamonds" of amber. Callista's notebook page about our visit. I plan on following this schedule perfectly so please don't ever try to interrupt or throw a kink in my plans. He, he, he... We are actually determined to stick pretty closely. We expect occasional interruptions for Dr. appointments or other family events but those are bound to arise regardless of where and how you choose to educate your children. Oh this awesome!! Thanks for posting. You inspire me. I don't ever think I could do what you're doing, but...you inspire to do more than I am. Thanks! and good luck! I love how organized you are with all this - you really makes it look so much easier than it actually is. What a great schedule! Busy, but productive..and obviously fun!